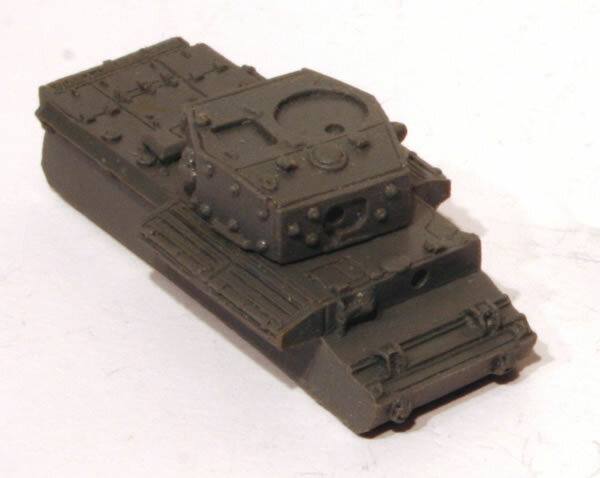 I also have the FoW Cromwell ARV. The Cromwell Tank was one of the most successful series of cruiser tanks fielded by Britain in World War II. The Cromwell tank, named after the English Civil War leader Oliver Cromwell, was the first tank in the British arsenal to combine a dual-purpose gun, high speed from the powerful and reliable Meteor engine, and reasonable armour, all in one balanced package. Its design formed the basis of the Comet tank. 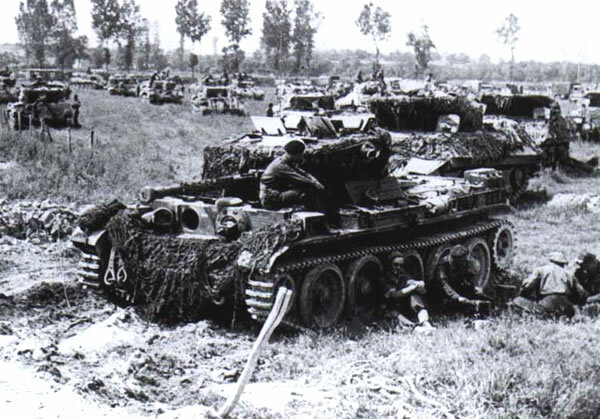 The Cromwell first saw action in June 1944, with the reconnaissance regiments of the Royal Armoured Corps. 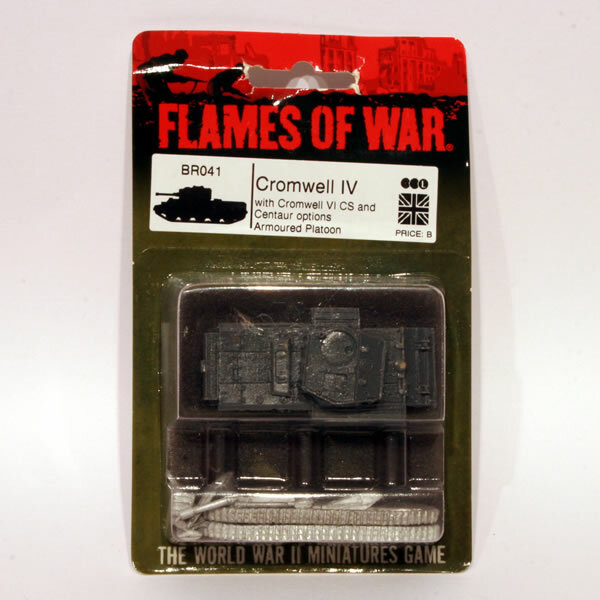 This is the Flames of War blister of the British Cromwell Tank. In the blister you get a resin hull and turret and the rest of the model is in whitemetal. You get the option to make it a CS Centaur version. The model is well detailed and certainly looks the part.